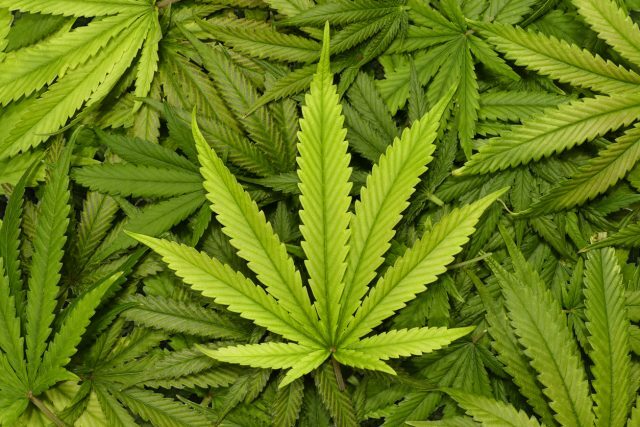 Weed-infused wine and beer will take centre stage at the UK’s first trade show dedicated to innovation in cannabis. “I think cannabis will be the most disruptive innovation in the sector” Spiros Malandrakis, alcohol industry manager at consumer research firm Euromonitor, told the drinks business. Cannabis Europa, London’s first trade-focused conference dedicated to the future of the marijuana industry, will take place in the Square Mile’s Barbican Centre on 22 May. As well as Malandrakis, who will lead a presentation on weed in the drinks industry with Euromonitor’s head of tobacco research Shane Mac Guill, a number of academics and lawmakers are set to speak at the event, including Reigate MP Crispin Blunt, co-chair of the All Party Parliamentary Group (APPG) on Drug Policy Reform. While alcoholic drinks containing CBD — a non-psychoactive compound found in the cannabis plant — have been around in the US and Europe for a while, since the drug’s legalisation many producers have invested in producing non-alcoholic beer and wine concepts that use THC, the part of the plant which makes you a high. In 2017 drinks giant Constellation Brands bought a 9.9% stake in Canadian marijuana company Canopy Growth Corp for £141 million, with plans to make cannabis-infused drinks. And earlier this month Keith Villa, the brewer behind MillerCoors’ seminal Blue Moon beer, announced he has launched a new company to start brewing beer laced with THC. Villa said he plans to start selling psychoactive cannabis beer in US states with legalisation laws by the end of 2018. “Currently there is no way to socially consume cannabis,” he added. “The only ways you have now are to smoke, but second hand smoke is anti-social. Chocolates aren’t really sociable in the same was as a beverage either. Malandrakis told db that, despite its current illegality across Europe, there is huge potential for a cannabis market. Particularly in the UK, which has one of the higher rates of consumption in the continent. Though Malandrakis thinks we’re probably not ready for a serious talk about legalising psychoactive cannaboids in the UK yet, he claimed that THC-infused drinks could be on the market in as little as five years time. One key example is ex-US politician John Boehner. The former speaker for the Republican party was “unalterably opposed” to legalisation back in 2009, but just last week news broke that he is joining the advisory board of Acreage Holdings, a company that cultivates, processes and dispenses cannabis in 11 US states. Boehner told reporters that his attitudes had changed along with the public’s gradual acceptance of the drug, and Malandrakis sees no reason why this couldn’t happen elsewhere in the world. Asked who he believed will benefit most from legalisation, the drinks analyst said to watch firms like Constellation closely.